This semester, Hillel launched its newest program, Hillel North Ambassadors, a leadership development program for Jewish freshmen living on North Campus. According to Hillel’s website, Hillel North Ambassadors is a one-semester long program designed for first-year students to help create opportunities for Jewish life on North Campus, and to teach participants how to become campus leaders through Maryland Hillel. Unlike the Hillel North fellowship that took place in previous years, this program is not solely focused on planning programs for their peers; it is more about fostering a Jewish community. The new program is comprised of many different components, explained Jessa Cameron, who oversees the Hillel North Ambassadors and serves as the springboard innovation fellow for Maryland Hillel. The group meets once a month for leadership development workshops, and ambassadors are in charge of hosting Shabbat dinners on North Campus in pairs or small groups. The group also coordinates coffee dates with other North Campus Jewish freshmen. Photo on file. Dovid Fisher/Mitzpeh. Freshman elementary education major and ambassador Alexis Mergruen said her favorite part of the program so far was planning a tailgate-themed Shabbat with another fellow. To freshman elementary education major Sydney Moed, being a Hillel North ambassador is all about the responsibility she has to the Jewish community. 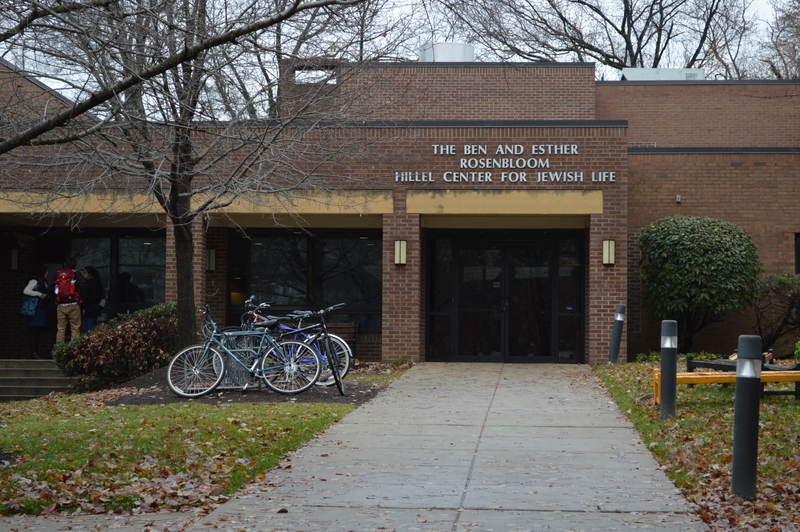 Since the Hillel building is near South Campus, the program gives students the option to still keep Shabbat or holidays in a more convenient way, and the hope is to make more students feel acclimated with Hillel after they move away from North Campus. “The group of ambassadors have definitely been meeting more people… but I think we still need to improve our retention rates and make sure that the people we do talk to stay involved,” said freshman economics major Lauren Gershon. Ambassadors are given a coffee budget to take interested students out for drinks to introduce them to Hillel and discuss upcoming opportunities to get involved. Similarly, each week ambassadors host a “bagel club,” a stress-relieving event where students can schmooze over coloring sheets and bagels for, which alternates weekly between Mondays and Tuesdays. “We’re only a month in, but it’s exciting seeing the program grow and shift as they bring their own spin to things,” said Cameron. No Replies to "Hillel North Ambassador program fosters north campus Jewish community"